INCHEON (Yonhap) ― With a major international golf competition set to take place in South Korea in less than a year, principal figures of the event said Wednesday they’re already anticipating a big showdown. The 2015 Presidents Cup will come to Incheon, west of Seoul, from Oct. 8 to 11 next year. It is a biennial event that pits a team of Americans against a squad of non-European international players in match play for four days. Jack Nicklaus Golf Club in Incheon will be the host. The Presidents was inaugurated in 1994, and the 2015 event will be its first venture into Asia. Jay Haas will be the captain for the United States, and Nick Price will be his counterpart for the International Team. Assisting Price will be South Korean veteran Choi Kyung-ju, better known as K.J. Choi outside his native land, who was named the vice captain in June. The U.S. has dominated the competition, winning eight of the first 10 Presidents Cups, including the past five in a row. The only victory for the International Team was in 1998. The two sides ended in a tie in 2003. At the Captains’ Day event held at an Incheon hotel Wednesday, Price said he hopes to buck the trend in South Korea. 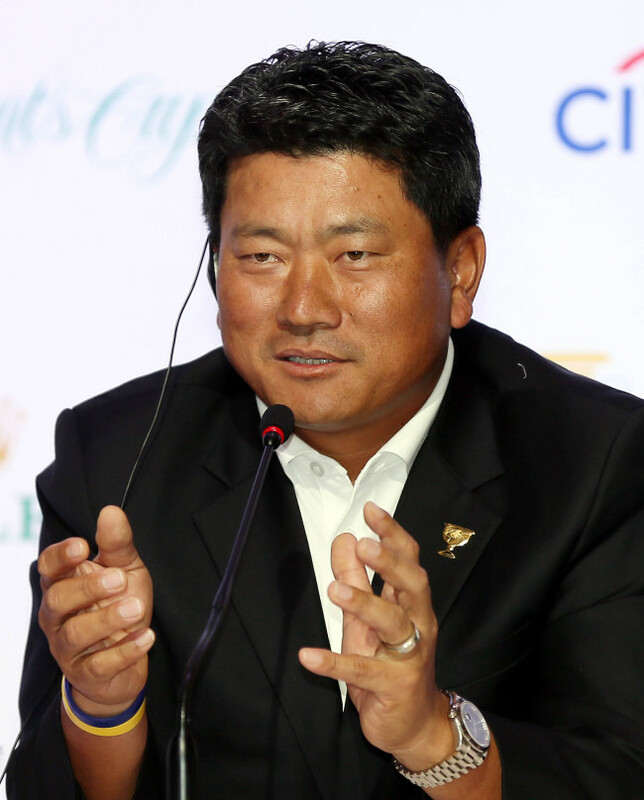 Choi, an eight-time PGA Tour winner who has played in three Presidents Cups, said he was grateful that a competition of such magnitude will take place on his home soil. Haas, who has nine PGA Tour wins and 17 Champions Tour wins to his credit, has served as an assistant captain in the past three Presidents Cups. He said he will try his best to make the most of his past experience. Tim Finchem, commissioner of the PGA Tour, said hosting Asia’s first Presidents Cup in Incheon will mean a great deal for both the host city and the tournament itself. Finchem added that a successful Presidents Cup will also demonstrate the strong ties between Washington and Seoul. “We look forward to utilizing the Presidents Cup as a way to tell the story about the very strong relationship, partnership, friendship and alliance that the United States has with Korea,” he added.